Del Pacifico's vacation rentals are located approximately one and a half miles from our Alma del Pacifico Beach Hotel & Spa. We recommend that you hire a rental car to travel between properties and around the tourist attractions in the area. All Vacation Rental guests have full access to the hotel's facilities as well as signing privileges. We are here to help you plan your perfect escape. The experts on the Del Pacifico travel team are happy to take care of the details for you. You will enjoy first class comforts and amenities in one of our luxurious 3 bedroom condominiums or exclusive private homes. Concierge & maid service are included. Contact us to talk to our vacation experts about availability, rates, activities and more. We would love to design an unforgettable visit for you. 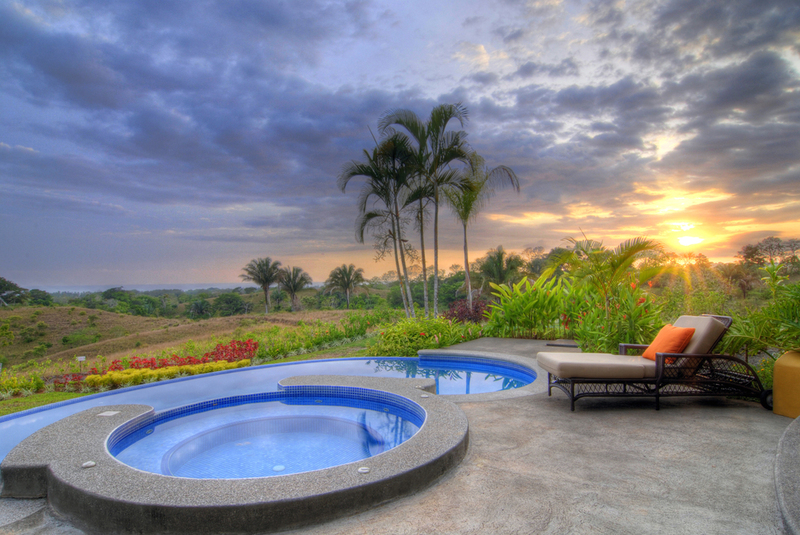 Located on a tropical hillside these spacious condominiums featuring 3 bedrooms and 3 bathrooms are the perfect Costa Rican retreat. 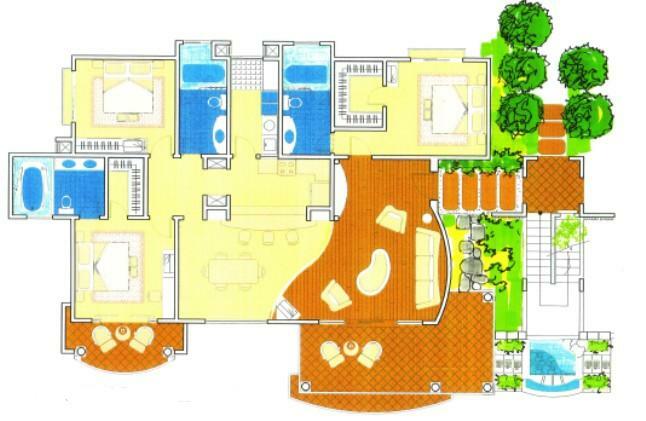 These luxury condominiums feature 2 master suites and an additional 3rd bedroom and spacious living & dining rooms. 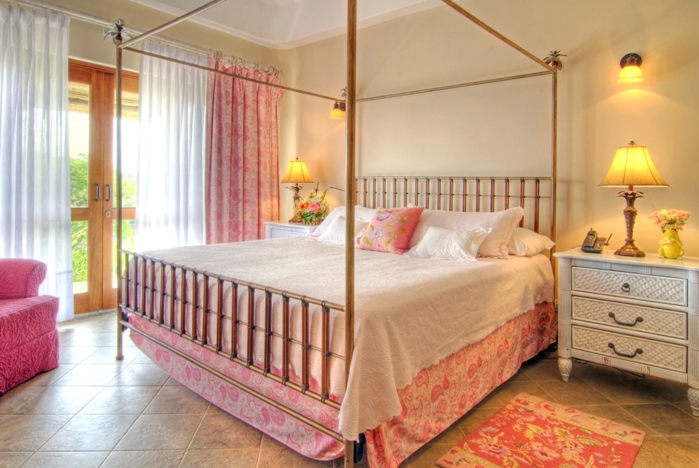 The living room and master bedroom open up to expansive verandas with breathtaking views. The condominiums have gourmet kitchens and full laundry rooms with washer & dryer. 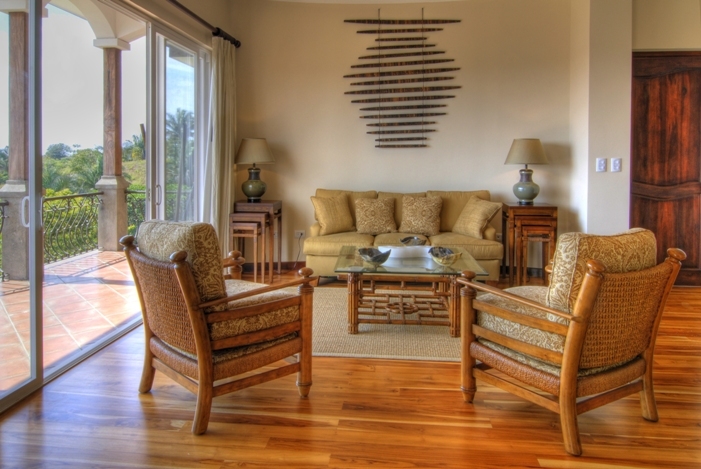 Each condominium is gracefully finished with exotic teak floors, local river rock, bamboo accents and ceramic tile. The gourmet kitchen features a bar seating area, granite counter tops and stainless steel appliances. Along the ridge line near the top of Del Pacifico, you will find Casa Mirador. 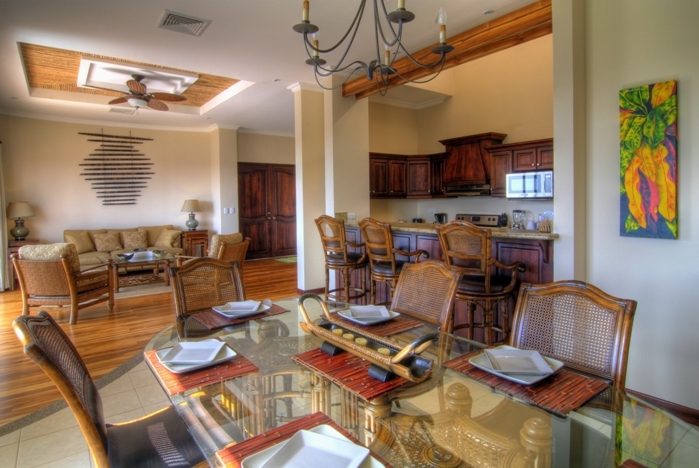 This 3 Bedroom, 3 bath home has a private veranda or balcony off of each bedroom. Casa Mirador comes complete with a private infinity pool and spacious back garden and the rooftop patio is the perfect spot to watch spectacular sunsets. 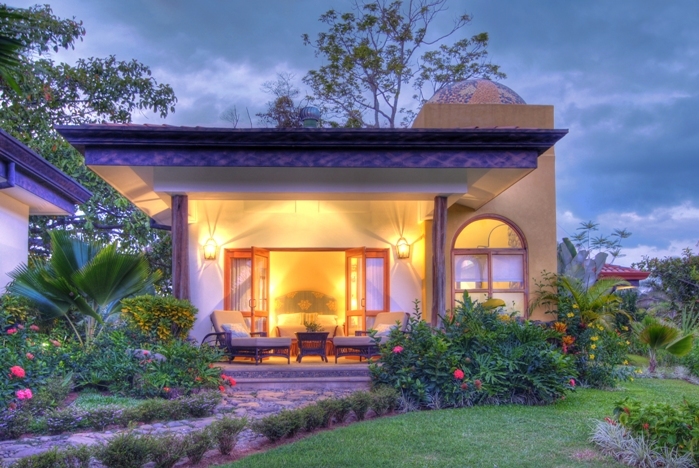 This private villa has breathtaking 360 degree views of the Pacific Coast as well the rainforest. Cook your meals in the state of the art gourmet kitchen with granite counter tops and stainless appliances. Or enjoy a meal at Pavilion Restaurant at Alma del Pacifico, our beachfront hotel. 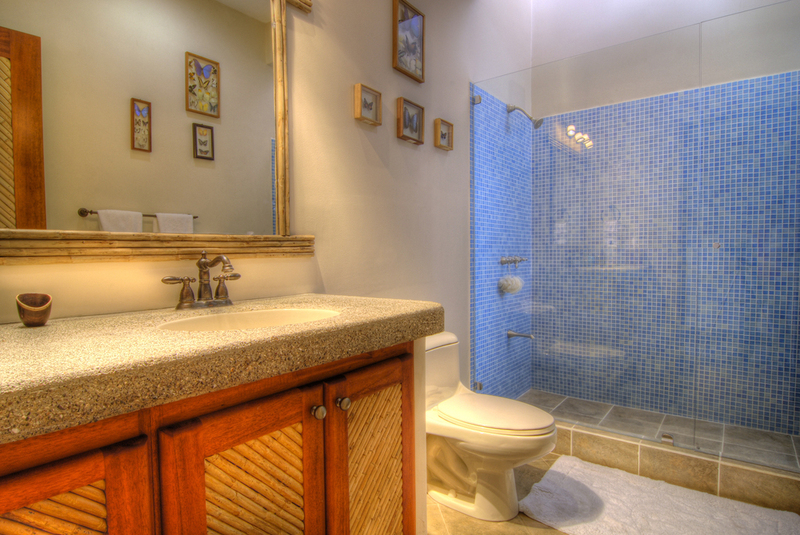 Casa Mirador also has a modern living room and dining room as well as a laundry room with washer & dryer. Set on a hilltop with remarkable views of the Pacific and the rainforest is Casa Mono Loco, a unique architectural gem. This 3 bedroom, 3 bath home features a unique floor plan, with a private detached master suite and a second master bedroom in the main house. 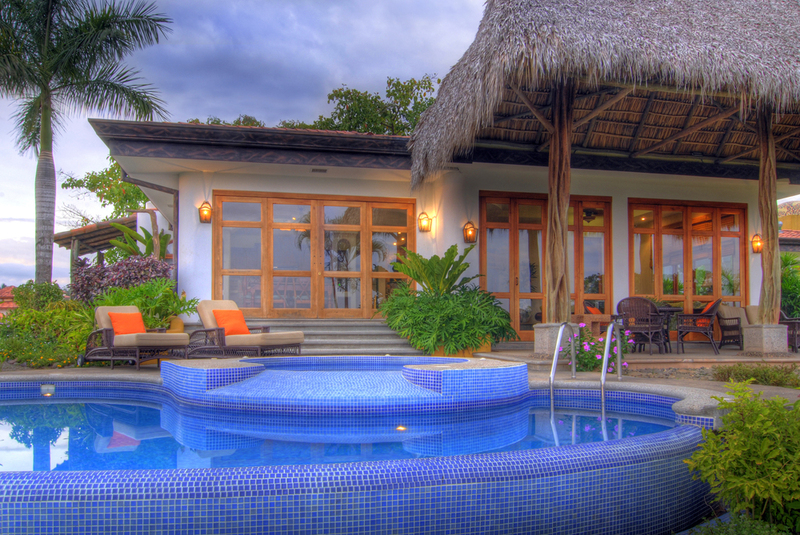 Casa Mono Loco features a spacious living room and dining room, gourmet kitchen with breakfast bar, and separate laundry room. Off the living room is a 20 foot palapa roofed terrace perfect for watching the sun set spectacularly over the Pacific. The home has a private infinity pool & Jacuzzi and plenty of outdoor space, emphasizing a connection with nature and outdoor living.